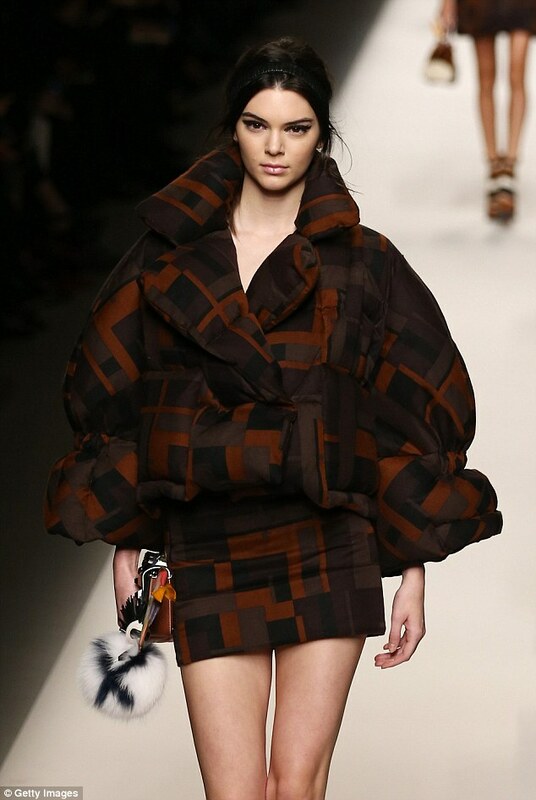 Peter Dundas, the door on the catwalk in Milan, Emilio Pucci, a cow girl city woman, inspired by ’70s fashion. 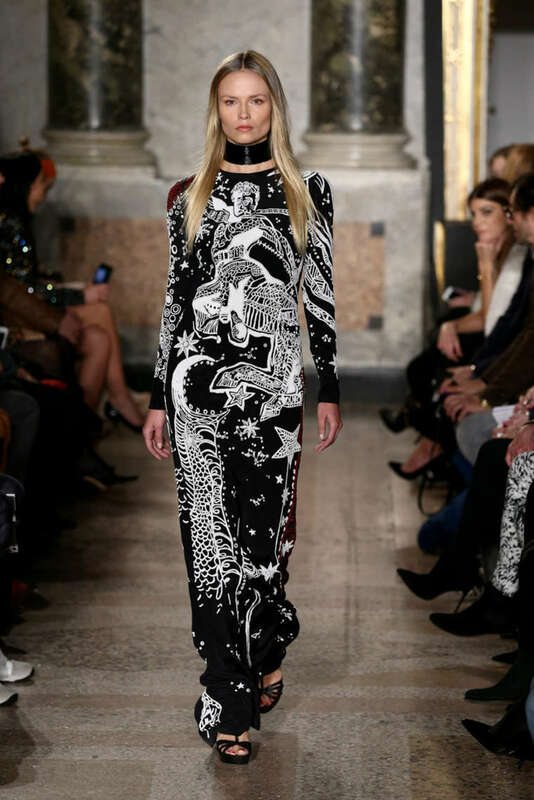 Peter Dundas, creative director of the Florentine fashion house Emilio Pucci, for six years, brings on the catwalk of Milan Fashion Week, the collection for next spring-summer 2015. What is the woman conceived from Dundas? Is a woman modern following all the latest trends, a cow girl subway always on the move, which is inspired by fashion 70s, with elegant garments characterized by craftsmanship, where prevail combinations of colors contrasting and very loose clothing. 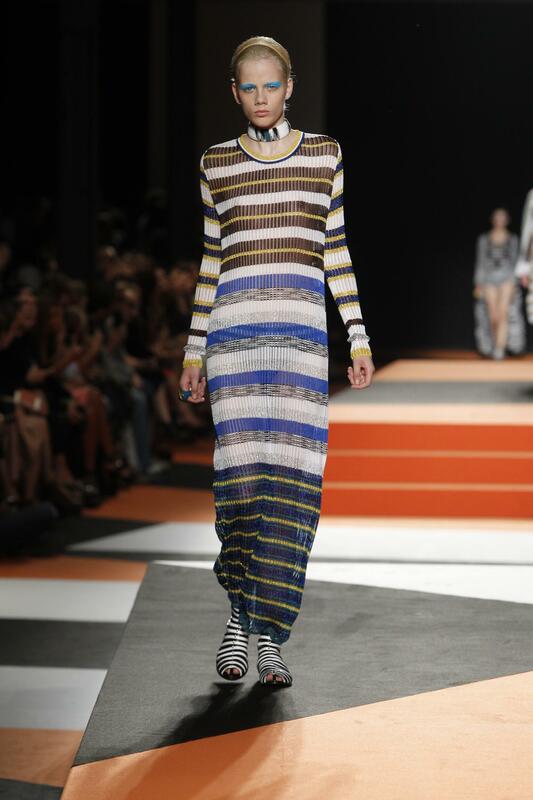 The fashion designers for spring-summer 2015, remains fully in line with the classic mood signed Pucci. The long dress, a little ‘over the light fabric with ruffles and flounces, in fact, are created with colorful patterns, now incomparable Emilio Pucci, perfect to wear to summer parties. 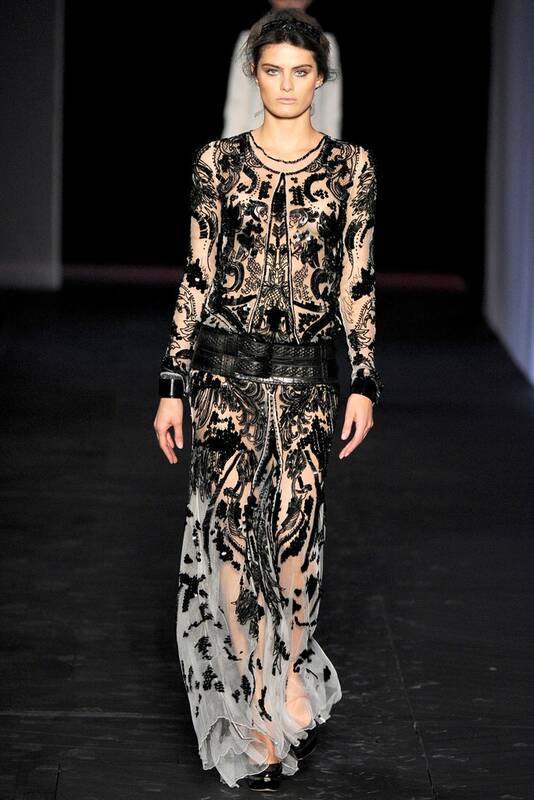 These dresses that have attracted particular attention to the Milan catwalk, in addition to their beauty, but also thanks to a model of exception: Naomi Campbell. But beyond the maxi dress decidedly bulky reminiscent of the typical summer clothing scarf, there are also shorter ones from very tight silhouette; In fact, to kick off the parade was just a mini dress embroidered macramé, with embroidered flowers around the applications, by adding sparkling details. For the evening, the lights look with a sequined waterfall, strictly show off sandals with vertiginous heels. Looks that are inspired by the 70s are the bell-bottom pants, paired with blouses in chiffon with deep neckline and poncho adorned with long fringes. 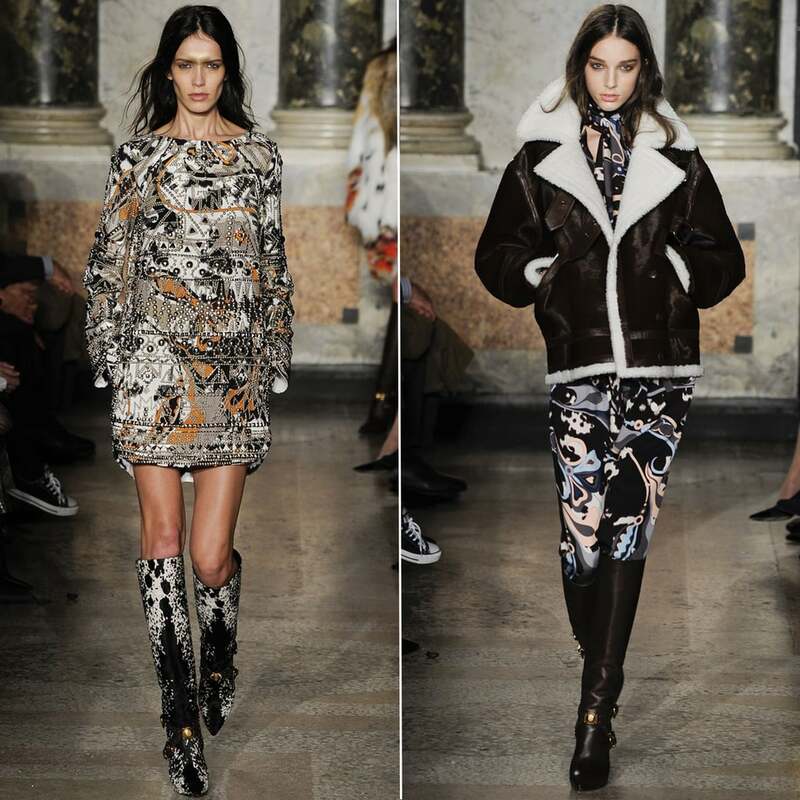 Proposals for Emilio Pucci for the spring-summer 2015, ranging from boots high suede camel, through the sandals with high heels. The bags are rather big, with fringes, to wear shoulder.